If you have forgotten your passcode and if you keep entering the wrong passcode on your iOS 12 iPhone to unlock it you will get a iPhone is disabled Connect to iTunes message. You no longer can try any probable passcodes to unlock your device. This problem is not terminal and can be easily fixed by the following methods. If you unlock your iPhone using iTunes, then all your phone's data will get wiped off. If the data is backed up prior to the phone getting disabled, you can recover it easily. Tensorshare's 4uKey is a tool which has been developed to fix a disabled iPhone without the need to restore your iPhone with iTunes. It offers a simple solution to unlock your phone in case you have forgotten your passcode or you have been locked out of your device due to any other reason. To know how to unlock a disabled iPhone without iTunes and passcode follow the steps below. Step 1: Download Tenorshare 4uKey on PC/Mac and install it. Step 2: Open the program. Step 3: With the help of a USB cable connect your iPhone to Mac or laptop and click on "Start". Step 4: Choose the path where you want to download Firmware package and click on "Download"
Step 5: Click on "Unlock Now" to remove your iPhone's passcode. You can now reset your iPhone's passcode and download the backup from iTunes or iCloud. A detailed tutorial to unlock disabled iPhone without restoring using iTunes is shown in the below video. This way of unlocking a disabled iPhone will mean that you will have to erase all the data on the phone. If you have created a backup before getting locked out of the device, this wouldn't be much of an issue as after resetting the device you can restore your phone with the backed up data. If your iPhone is disabled connect to iTunes on iOS 12 and follow these steps to unlock your disabled iPhone with iTunes. Step 1: With the help of a USB cable, connect your iPhone to your laptop. Step 2: Tap iPhone and go to Summary tab. Step 4: After the backup is created, click on "Restore". Step 5: Now, if the Find My iPhone is enabled beforehand, you will have to disable it and then continue with the process. Step 6: If it is already disabled, iTunes will simply ask if you want to restore your iPhone to Factory Settings. Step 7: Tap "Restore and Update"
But if you were unable to connect to iTunes or if you have never synced your iPhone with iTunes, you will have to recover your device by using "Recovery Mode". Erase your device along with its passcode by following these steps. Step 1: Connect your iPhone to the laptop with the help of USB cable. Step 2: Open iTunes and put your device in to Recovery Mode. If you are using iPhone X, 8 or 8 Plus, force restart your device by pressing and quickly releasing volume up and down button. Keep pressing the side button until the iTunes screen appears. If you are using iPhone 7 or 7 Plus, press the volume down button and side button simultaneously till iTunes screen appears. If you are using iPhone 6S or any earlier version, press the home button and top button till iTunes screen appears. Step 4: Now iTunes will detect your device in Recovery Mode and ask whether to restore or update. Similarly, select Restore. This way you can fix iPhone is disabled error. iTunes will now download new software and then restore your iPhone without having passcode anymore. 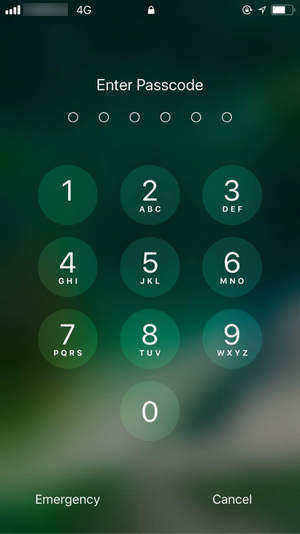 You will be able to set up your device with the new passcode and use it. Step 1: From another device or a laptop go to icloud.com. Step 2: Sign in using iCloud Apple ID. Step 3: At the top, click on "All Devices". Step 4: Select the device which has to be unlocked. Step 5: Click on "Erase iPhone". You can now reset your passcode and by choosing a recent backup of your device you can restore all the data. iPhone's security system is very powerful and such a measure of disabling your phone has been inbuilt to prevent brute efforts to bypass the passcode and access your iPhone in case of theft. After a total of 10 incorrect passcode entries, your iPhone automatically gets disabled. You can't compromise on your iPhone's security by not keeping a passcode. A simple way to avoid such a situation is by using Touch ID instead of a numerical passcode. If in case you are faced with a situation of being locked out of your phone the above-mentioned easy methods can be used to efficiently unlock an iOS 12 disabled iPhone. And we highly recommend Tenorshare 4uKey as it is the best method here and it can unlock any type of passcodes with ease. Go for it!